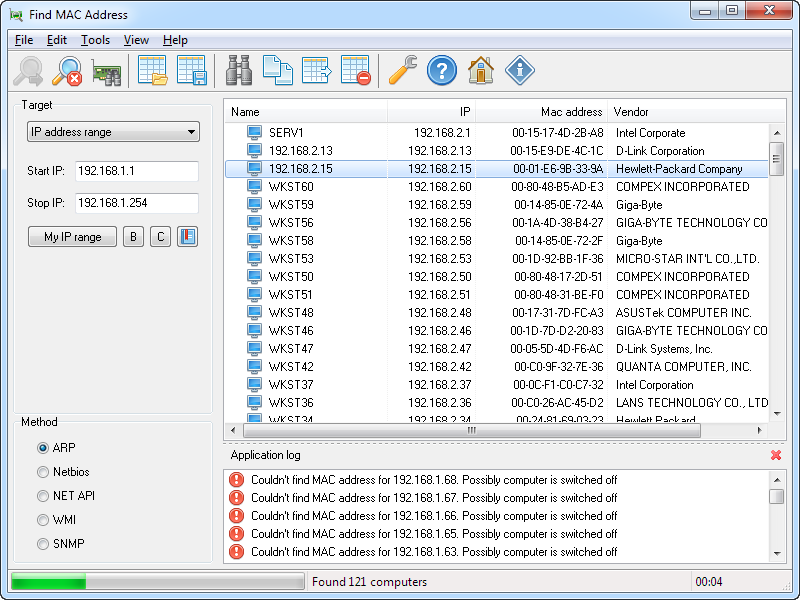 Find MAC Address is a tool for finding the MAC addresses of computers on the network. With Find MAC Address, you can find the MAC address of your or a remote computer or any computer within the specified range of IP addresses. Unlike similar software, Find MAC Address can find the MAC addresses of computers using five methods (ARP, NetBIOS, NetAPI, WMI, SNMP). * Updated: Number of network card vendors is increased to 23 413.